9 LED aluminium torch. 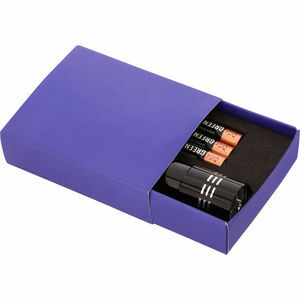 Complete with 3 x AAA batteries and strap, in a presentation box. 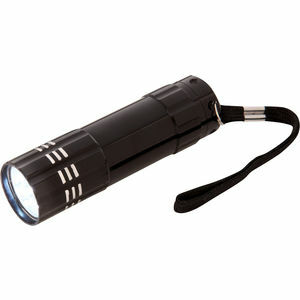 This torch makes a great corporate gift or office award.